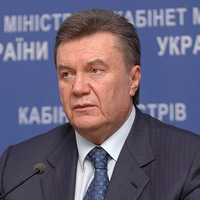 There is little doubt that as president of Ukraine, Viktor Yanukovych will decisively shift the country's geopolitical posture, with Kiev once again moving closer to Moscow after its pro-Western and pro-EU turn of 2005. The potential consequences on the EU's energy future are serious, as 80 percent of Russian natural gas exports to Europe transit through Ukrainian territory. The country has been in repeated price disputes with the Russian state-owned gas monopoly, Gazprom, resulting in interruptions of deliveries to the Ukrainian market in January 2006 and 2009, with supplies to Europe affected both times. Mediation on the part of the EU and Western European governments prevented such episodes from deteriorating on other occasions, most notably in January 2010. Hence, it stands to reason that a reorientation in Ukraine's politics would trigger a parallel reorientation in European energy policies.